About 10 years ago, I took a trip to Miami to visit some friends. 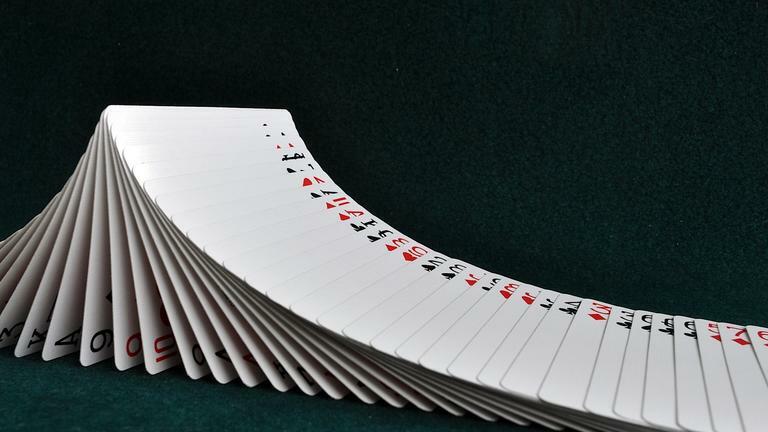 While out for dinner one night, a gentleman that spoke very little English walked up to our streetside table and asked if I would like to see a card trick. My friends and I had ordered dinner but our food was yet to arrive, so we all agreed that a card trick (good or bad) would be a fun way to pass some time. People at neighboring tables had already declined his offer. He proceeded to perform a version of the trick shown in the video below and it completely blew our minds – still does. We’ve all seen our share of mediocre card tricks, so this trick was a very nice prelude to our fish tacos, and we tipped the fellow accordingly. I think this card trick scenario offers a good lesson to everyone that works in sales and marketing. The Miami magician was very polite, yet most people didn’t want to talk to him. The others weren’t being rude; they were just busy. He was persistent, though, and he eventually found an audience that was willing to give him some time (us). Then, when he had the floor, he did not disappoint. He was ready to put on a brief presentation that was interesting, fun, and that kept us engaged. He earned the meeting and earned our business. I’d hire him again in a second! Regardless of your industry, remember that getting in the door is only the first step. Be different, be exciting, and be prepared! Know the subject matter you’ll be discussing and have materials in-hand that nicely illustrate it.